Being comfortable in your own skin is one thing. Being comfortable in your clothes is essential. Designed with Antthony's super-soft luscious knit, you'll find yourself reaching for these figure-flattering harem pants again and again. I bought the navy floral print, and it is so beautiful and goes with so many tops. The fabric is truly "luscious", and I wear it to the office with heels and feel like I'm wearing my lounge wear at home, but I still look polished. I love that the legs are relaxed enough to not look like a legging. I can see me eventually having a whole closet of these pants! 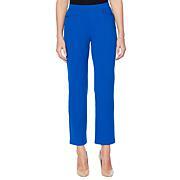 I AM SO IMPRESSED WITH THE STYLE AND DESIGN OF THESE PANTS THAT I CAME BACK AND ORDERED SEVERAL MORE PAIRS. THE ELASTIC WAIST AND GENEROUS CUT WORKS WELL FOR MY SMALL WAIST AND FULL HIPS, BESIDES BEING FLATTERING AND SUPER COMFORTABLE. HIGHLY RECOMMENDED LADIES! These are the most fabulous pants. Fabric is soft and drapey and skims the body. The print is very expensive looking. Cannot say enough good about these pants. Washes with no wrinkles whatso ever. Hand to dry. I got the black brown stripe and fits nice in plus petite! Got the matching 2 package top to match! 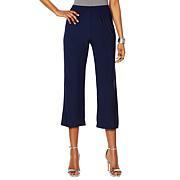 So hard to find petite pants !!! Thank you, Antthony, for understanding that there are those of us who cannot wear leggings or jeggings or skinny-any kind of pant. 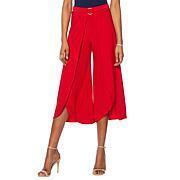 For women who carry weight in their stomachs or - as in my case - their thighs, harem pants are perfect. 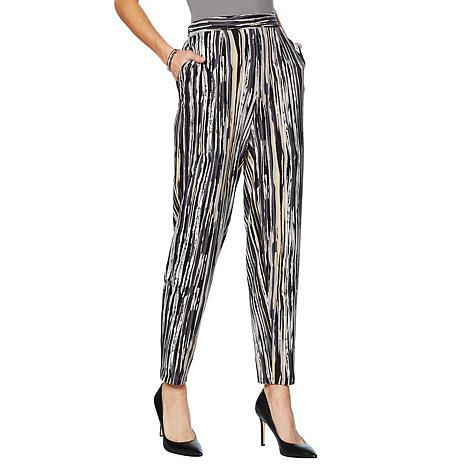 These pants glide over my large, lumpy thighs and calves without showing any of the ugly bits and tapper in a very flattering way down to the ankle. This was true when I was wearing a 1x and now that I'm in a size 12.